So a couple of weeks back I had picked up a few zines from both the MCA and Other World’s zine fairs. 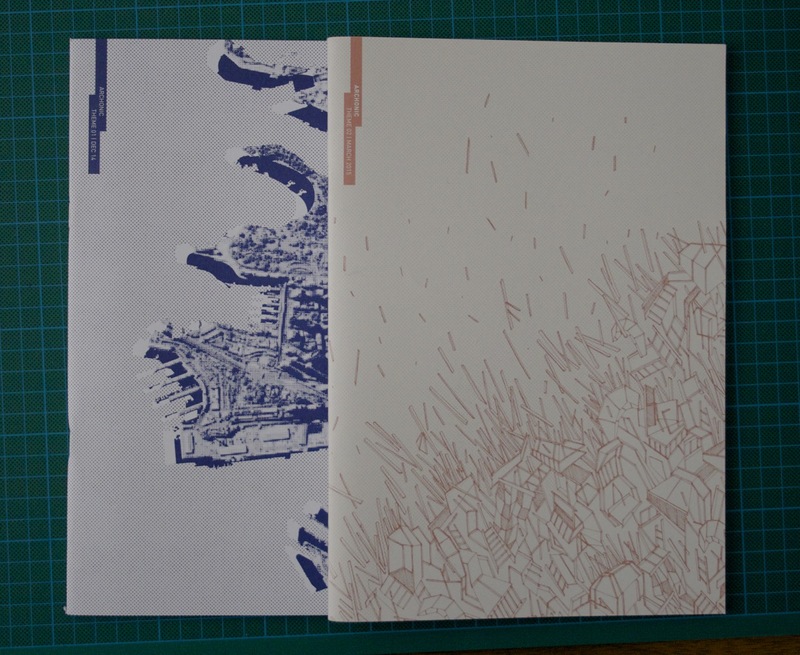 It’s an architecture/design mag put together by students, by the looks of things. The design of the magazine has all the elements that are in vogue; photos dissected by simple geometries, large bold quotes in contrasting colours, vector graphic and wire frames of objects-to-be. But the work needs editing. Grammatical and layout out errors persist from the first few pages. It makes a frustrating read, because I can see exactly where it can be improved. The new James Jirat Patradoon book is out. The fact that it has an ISBN probably calls into question whether it is a zine. But I’m not going to pass up a new Jirat book. 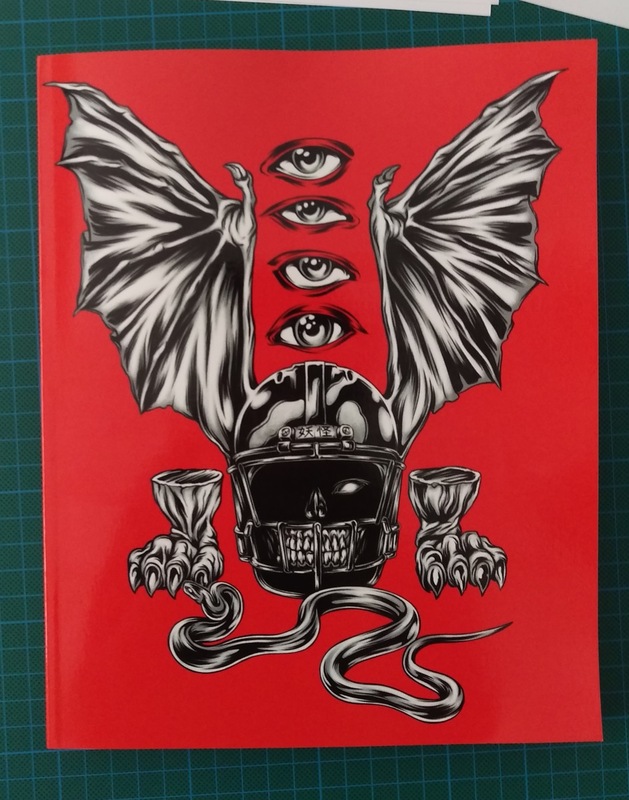 The whole thing is full-colour madness, a mix of black leather horror to Japanese cyberpunk. 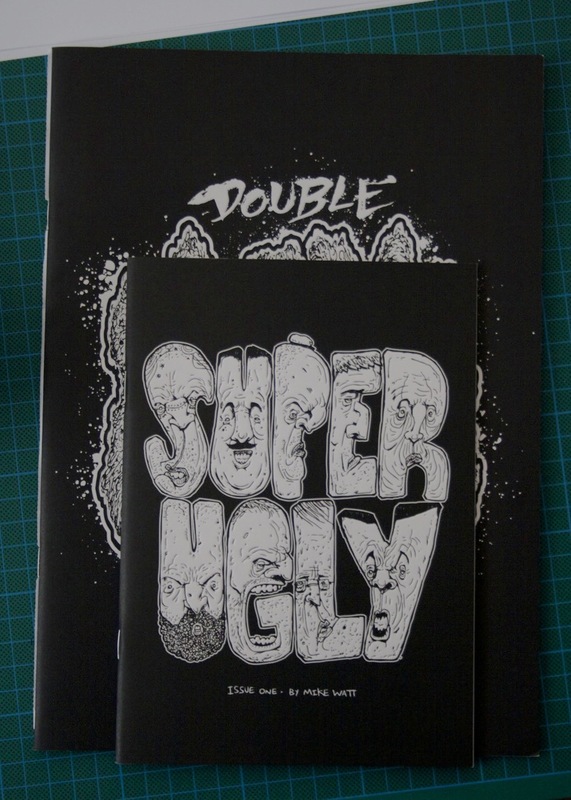 I’ve seen Mike Watt’s art around Canberra occasionally and it’s really good to pick up both his Ugly books. Basically, the contents include character illustrations plus a snashot of their individual lives. Lean and to the point, and the embossed cover is a nice touch too. 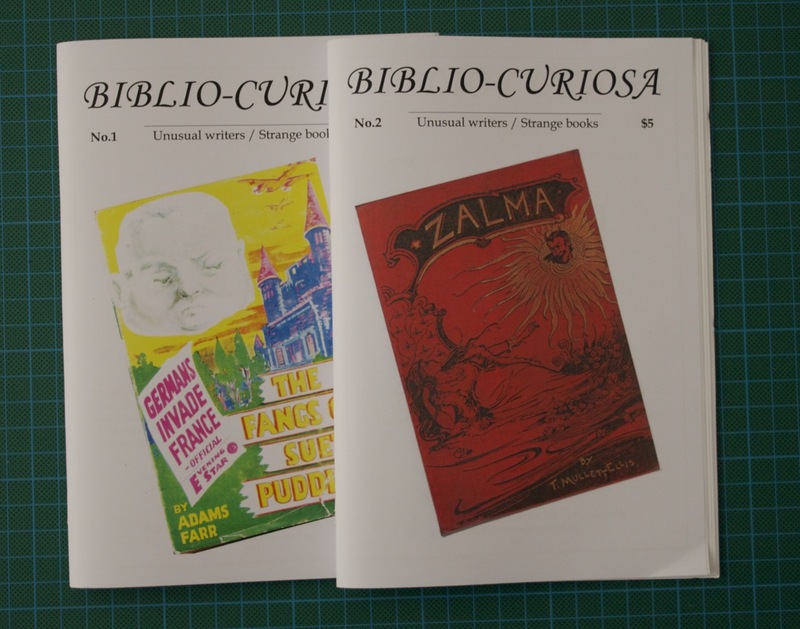 Chris Mikul, the guy who puts together Bizarrism (a favourite of mine), also collects strange, rare books and then write about them in Biblio-Curiosa. It is also short biographies on the writers, where possible, to give insight into their works. As usual, I expect that this might be one day collected in a compendium, like I expect with Bizarrism. Phillip Dearest continues to draw nightmares. 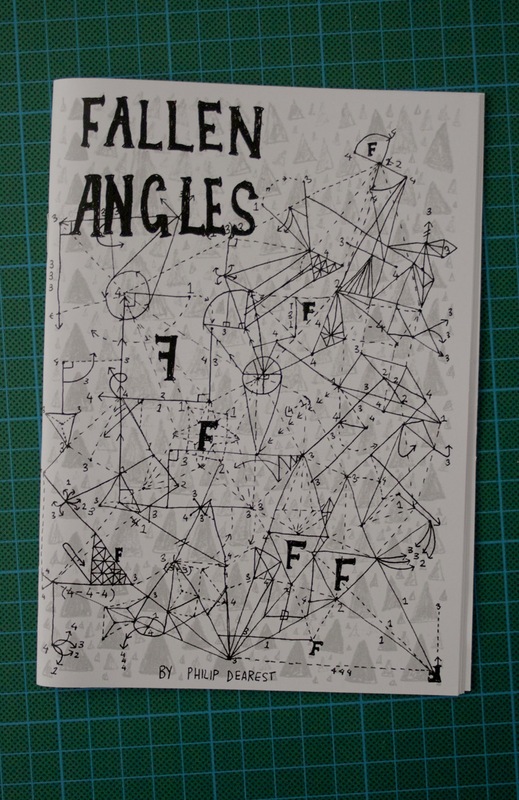 Which is good and Fallen Angles seems like his most SFW zine yet. I have an almost complete collection of his work and I still cringe flicking through the pages. While such tame work was unexpected, much more mature and controlled. 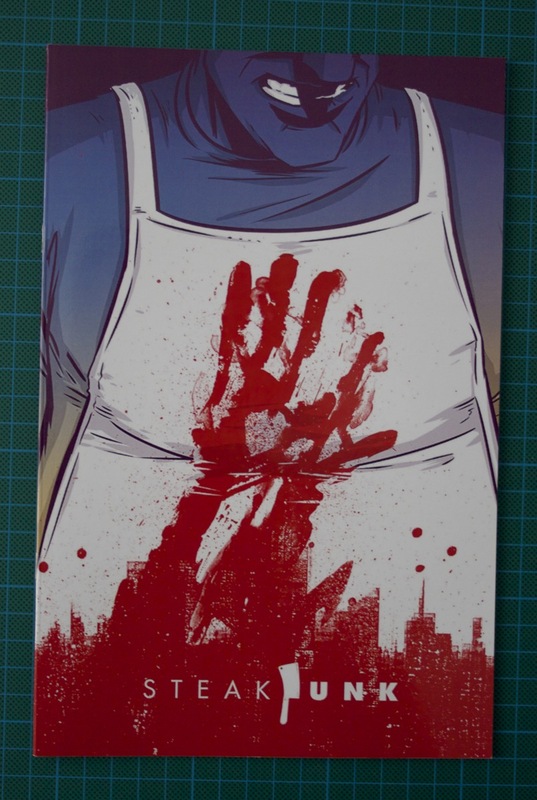 A comic by Louie Joyce, Nic Shaw and Eric Dittloff, tells the story of a butcher who provides meat for this cannibal clientele. The whole art and design has me a little surprised that they don’t have an Image Comics logo attached to this. 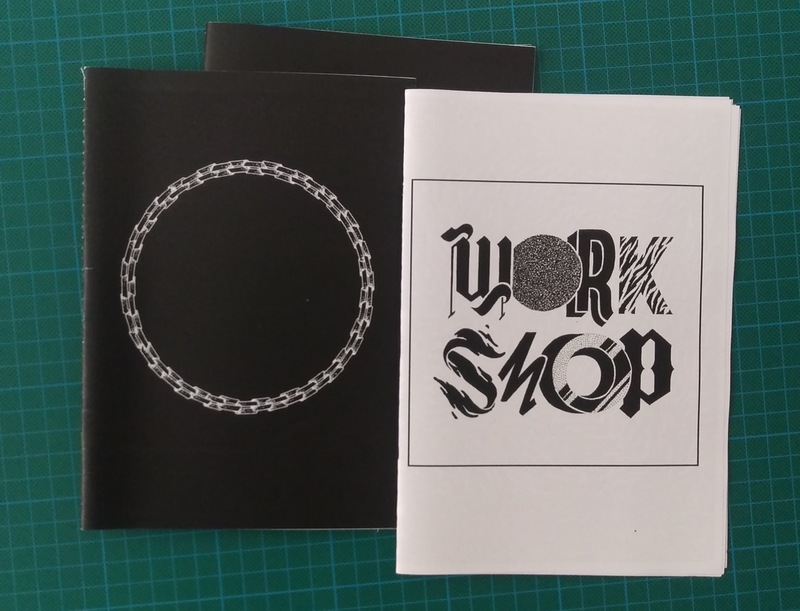 These two untitled zines cover a little of the lettering and texture work of Georgia Hill. Nice, heavy stuff. 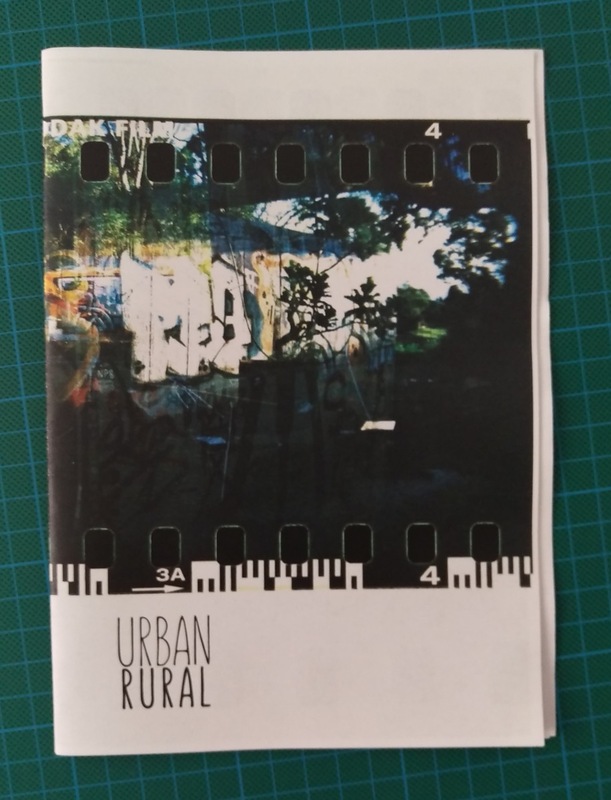 The Wildfolk Collective made a photo zine of double exposed film each taken from inside and outside of a city. This entry was posted in zine and tagged archonic, chris mikul, georgia hill, james jirat patradoon, mca zine fair, mike watt, other worlds zine fair, phillip dearest, review, zine. Bookmark the permalink.